My brother was discharged from Duke University Medical Center today. 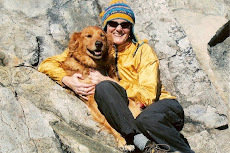 Just 2 days ago, Dr. Allan Friedman http://www.cancer.duke.edu/btc/modules/facultystaff1/index.php?id=2 , world renown neurosurgeon at the Preston Robert Tisch Brain Tumor Center, removed a robin’s egg sized primary glioblastoma from his right temporal lobe. Rick’s life, his life with his wife Deborah and our lives as his sisters, children, nieces, nephews, and friends will hereafter be changed. We as a family are familiar with the roller coaster ride on which cancer takes you. We all walked with our father through 15 months of cancer diagnosis, chemotherapy and radiation. We each found our way through. We found ourselves shifting priorities and trimming out what was not so important to make room for time to be together. That was the best thing we did in those months. And the blessings, though mixed with sorrow were constant. And now, surprising us, is another invasion by this enemy. Just a couple of weeks ago my brother, Rick had 3 small seizures within an 8 hour period. Urged by he wife and 3 sisters he reluctantly went to his primary physician. Next came the MRI that revealed the “bad boy” tumor behind his right eye. The radiologist was not encouraging at all. The news went out to family and my husband and I got a good friend on the inside at Duke Medical Center to help open the door for an appointment with Dr. Friedman. Two days after his appointment the tumor was removed. After less than 24 hours in ICU and another night in a regular room, he is now sitting in my livingroom by the fireplace. Another couple of days hanging close by Duke and then he will return home to Charlotte. The night before surgery the siblings pose for a picture. Rick has our father's prayer shawl around his shoulders. 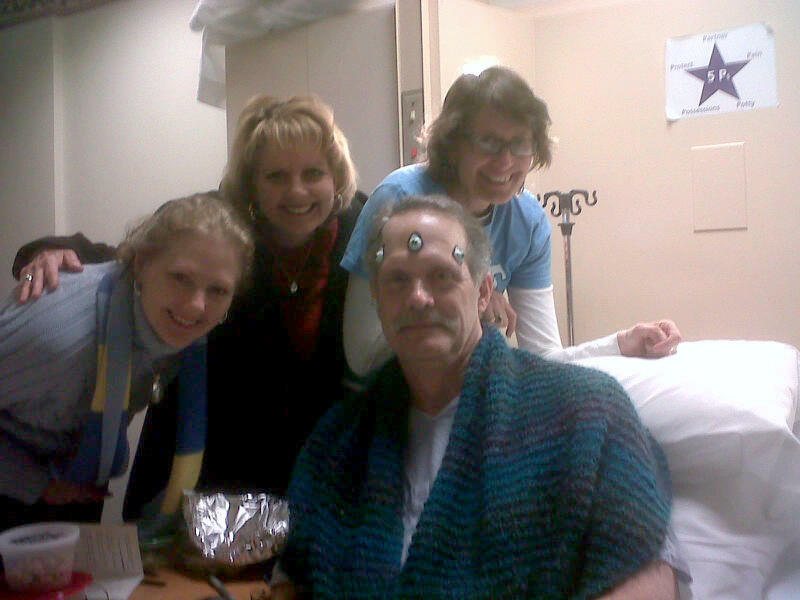 the "markers" on Rick's head will help guide the surgeon to the tumor. Great post. Onward with hope, faith and love. Ann, I am visualizing Rick sitting in your front room, cocooned within your love and Dave's love and God's love. I will continue to pray for his healing. (It's not time yet.) Much love to you! Rich is surrounded by love - by the love of family, friends, and by God, who is Love. He is also surrounded by mountain-moving faith, and by hope. I sent this scripture to Rick a few days ago,and now am sending it to you. "May the peace of God, which passes all understanding, keep your hearts and minds through Christ Jesus."